Sad news theatre fans. One of the theatre's greatest playwrights has died. 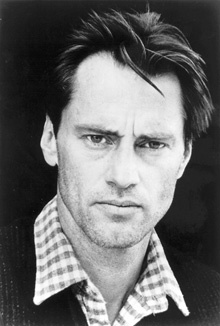 Sam Shepard, who won a Pulitzer Prize for Buried Child, passed away on July 27 at the age of 73, following complications from ALS. Other notable works include True West, Fool For Love, A Lie Of The Mind, and Curse of the Starving Class. Besides being an award winning playwright, Mr. Shepard was also a critically acclaimed actor, who's work spanned over five decades with such hits like The Right Stuff, Steel Magnolias, The Pelican Brief, Blackhawk Down, and The Notebook. In 1994 he was inducted into the Theatre Hall of Fame. He is survived by his children Jesse, Hannah, and Walker Shepard, and his sisters Sandy and Roxanne Rogers.